I remember when my daughter’s were measured in cc’s. I remember when I fought with Dr.’s and Nurses that I wanted to change her diaper!! You bring back the NICU so clearly to me even though she’s almost 10 years old and was released ages ago. Time moves so slowly in the NICU, hard to explain that to other people. 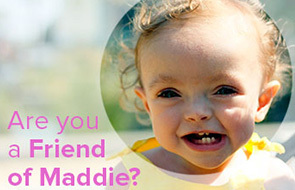 I was given the link to this site from someone on twitter, I wish I’d had a chance to read it before Maddie passed away but I am enjoying reading about her life. I’m so sorry for your loss. What a wonderful tribute to your child.